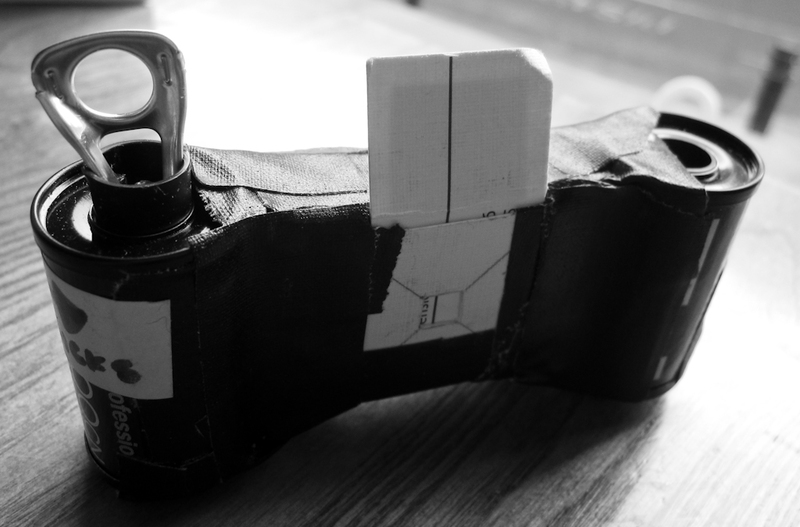 So I built a matchbox pinhole camera using the instructions on www.matchboxpinhole.com. A pretty easy build, the instructions are straightforward and the design is very clever – the ‘clicker’ is genius and worked really well for me. I’ve been discussing with Robin what improvements to make on the next version – I think if I can work out a way to better stabilise the camera when taking photos I can get sharper images (although I don’t think my mini tripod/gorillapod will be stable enough for any messing about with the shutter, which I’d like to improve also).